What’s wrong with the transmission system? Wondering why we are feeling cold? 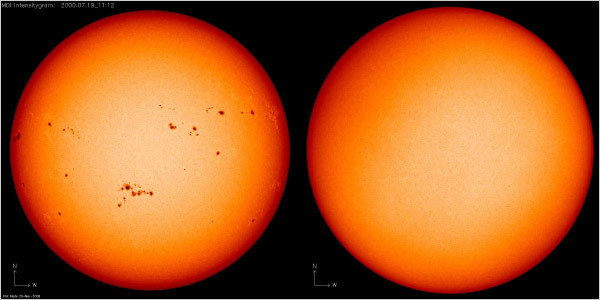 These photos show sunspots near solar maximum on July 19, 2000, and near solar minimum on March 18, 2009. Some global warming skeptics speculate that the Sun may be on the verge of an extended slumber. "The Sun, the Danish scientists say, influences how many cosmic rays impinge on the atmosphere and thus the number of clouds. When the Sun is frenetic, the solar wind of charged particles it spews out increases. That expands the cocoon of magnetic fields around the solar system, deflecting some of the cosmic rays. But, according to the hypothesis, when the sunspots and solar winds die down, the magnetic cocoon contracts, more cosmic rays reach Earth, more clouds form, less sunlight reaches the ground, and temperatures cool." The availability of energy is the precondition for any form of life, from microbes to dinosaurs. We humans are part of that mosaic and are absolutely dependent upon the animating force of our sun in our little spot in the universe. Luckily for us, the sunshine of a thousand yesterdays are locked up in the plants and animals around us. And we have learned to unlock that energy at our pleasure in order to sustain ourselves. In the modern world, we have even tapped into solar energy stored in fossils for millions of years, greatly extending our ability to thrive in a what can be hostile environments. Sir John Franklin, leader of the Franklin expedition which left England in 1845 to map the fabled North West Passage across the top of the world, was neither able nor willing to tap into the energy riches of the area. The local Inuit people watched in amazement as the remnants of the well equipped Franklin expedition ran out of options for self support and in the final stages resorted to cannibalism to try unsuccessfully to stay alive. And all this happened in a land of abundance, from the perspective of the Inuit. You see, they had discovered the secret of the Arctic a long time ago and were literally the kings of their castle because of it. Amazingly, it is a substance that we, in our culture, waste, throw away and generally seek to get rid of. It has no, or little value for us whereas it is the fundamental precondition for any kind of warm blooded life in the Arctic and Antarctic regions of the Earth. Having this substance available to you allows you free reign over millions of square kilometers of landscape. People like Franklin and his men could only hope to make a limited excursion into these hostile regions, and then withdraw before succumbing to the elements. This substance is stored vibrant solar energy, an instantly ignitable fuel that will turn a miserable arctic blizzard into a minor discomfort for someone in an igloo. Please be careful if you experiment with this substance. It is raw animal fat and if you burn it it will turn your stovepipe red hot. Pileup at the game between the Caroline Cougars and the Sedgewick Rams. The annual Community BBQ, hosted by Caroline School, was held at the half time mark in the game, where hamburgers and home made salads, along with cakes and other goodies, were enjoyed by a sizable crowd watching the game. Kudos to the School Council for catering this event. This BBQ, at the south end of the school, was hosted by the Caroline School Council on September 17 during the first home football game of the season. Contradicting Brausen, AltaLink claims on its website that since 1996 generation capacity in Alberta has risen by 38 per cent and demand has risen by only 21 per cent. Clearly this statistic admits that generation is growing faster than demand. The University of Calgary has weighed in too, and its Departments of Economics and Electrical Engineering have released a study that says the two proposed upgrades between Edmonton and Calgary are economically inefficient and unwarranted. Presumably this makes the Heartland Project unnecessary, according to Brausen’s reasoning and justification for the Heartland transmission line. Brausen claims there have been no major investments in the electricity grid, and yet in 2009 AltaLink invested $605.1 million in the grid. This is no small sum by any standard, and it reflects only one company’s investment in one year. Given the fact that the Heartland Project is expected to cost $300 million, this brings into question Brausen’s understanding and use of the term "major investment". The University of Calgary agrees with the Utilities Consumer’s Office and has found that this project is not critical, and may not be needed. Yet for some unknown reason the MLA’s have determined that they are better qualified to make the decision to approve transmission lines and God only knows why. There is no evidence to support that the MLAs are qualified. Do they have any understanding why unserved load and unserved generation are two metrics not even remotely related, in character or in magnitude? To make an informed decision before approving a transmission line, the “fact-based” debate should clearly differentiate between unserved load and unserved generation. Can the MLAs do this? What’s wrong with the transmission system? Not a whole lot! It works quite well and like all systems, it needs to be upgraded and expanded on a regular basis. What’s wrong with the approval process? Our government has politicised the approval process and eliminated the universally accepted practice of having a technically qualified adjudicator (the AUC) make the decisions. We need to return the duty of approving the need for new transmission lines to the AUC, and we must reinsert into law a mandate that those decisions be made objectively and unbiased for the public’s interest. The Harvest Moon of Oct. 3, 2009, photographed by Catalin M. Timosca of Turda, Romania. "A decade ago, oil drilling was the stepchild of the U.S. drilling business, representing less than 20% of all activity. In early 2009, everything began to change. Falling gas prices and strong ($70/bbl+) oil prices spurred E&P companies to oil-driven activity. The successful evolution of horizontal drilling and multi-stage fracking in the gassy shale plays also began to unlock the potential of a few select oil shale plays. As a result, oil-related drilling has recently doubled its market share to over 40% of the total rig count, as shown in the graph on the right. The oil rally isn’t finished, either. Record well results continue to come from the Bakken shale, and activity is heating up in a number of 'stealth oil plays,' as well. 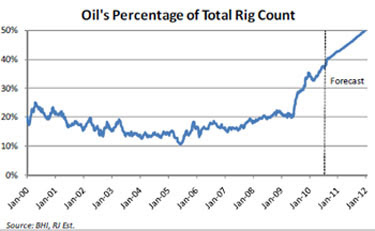 By the end of 2011, we believe the percentage of oil rigs could equal the number of gas rigs (50% of the total market). So, what is driving this growth? Confidence in high oil prices combined with excellent results in these oil-related horizontal drilling plays has caused oil activity to outpace gas activity, and these same forces should continue to drive oil's outperformance going forward. Between increases in the Bakken, Niobrara, Bone Spring and Permian basins, we believe the market could add over 200 oil rigs by the end of 2011, of which the lion's share (~150 rigs) would be horizontal rigs." After some 10 years without medical service, Caroline area residents can, once again, see a doctor in their own community. The clinic, located in the southernmost bay of the mini mall where the local motor registry office is located, opened its doors for the first time on September 7. Present for the opening ceremony were: Aaron Dingman (chiropractor), Pat Alexander (Clearwater County Reeve), Earl Graham (Clearwater County Councillor), Village Mayor Laura Cudmore, Reg Dean (Chamber President), Dr. Peters (Rocky Medical Clinic). Caroline's Mayor, Laura Cudmore, was instrumental in getting the initiative off the ground some 16 months ago and enlisted the help of the Caroline and District Chamber of Commerce in bringing the project to its fruition. Major factors helping things along were the arrival in Rocky Mountain House of new doctors and the willingness of the Clearwater County Council and the Village of Caroline Council to financially support the establishment of the new facility. Community donations to the clinic to date are $47,977, broken down as follows: Clearwater County $15,000, Village of Caroline - $10,000, Alberta Health Services - $9,133, Cash donations - $7,175, Goods and services donated - $6,669. The new medical clinic will initially be open every Tuesday, with both medical and chiropractic services offered. Bookings can be made through the Rocky Medical Clinic at 403 845-2815 or by contacting the Caroline Clinic directly on Tuesdays at 403 722-4055. The Caroline Lions Club donated a cheque for $1879.98 to the new medical clinic in Caroline. Lions Bob Penner and Orest Luchka presented the cheque to Mayor Laura Cudmore and Chamber President Reg Dean. Bob Pryor tells receptionist Tammy Davies about his Harley Davidson motorcycle tipping over onto his foot and breaking his ankle. Commenting on the clinic, he said: "This is a good thing". The ribbon cutting ceremony took place on Saturday, September 11, and was carried out by Mayor Laura Cudmore and Councillor Helen Willigar, assisted by Edna Topp's four children: Kathy, Betty, Colinda and Charlie. Edna Topp was a long serving administrator of the Village of Caroline and the new park on 52nd. Street Close was named after her by the sitting Village Council following her passing in that role in 2001. Betty, speaking on behalf of her family, thanked the community for honoring her mother in this way. Councillor Willigar, who served as Mayor of Caroline when the park was initially developed, spoke highly of Edna Topp's dedication to the Village. She also thanked Public Works Foreman Ron Landry for his contribution to creating the park in its present form. for the efforts of her residents in creating a welcoming community. The playground in the background with landscaping at the center of the park. A modern outdoor skating rink occupies the western part of the park. Members of the Clay family present at the museum on Heritage Day, September 11. Back: Kay McKenzie, Elsie Clay, Alan Engel. Middle: Fay Pengelly, Vicky Yarschenke, Macel Engel, Nicole Pengelly with baby Dylan. Front: Hugh McKenzie, Martha Slaymaker, Gene Clay, Edna Pengelly. Back: Tom Tisdale, Lois Clearwater, Kyle Tisdale, Jennifer Thiessen. Front: Darren Clearwater, Lorena Tisdale, Velma Clearwater, Dale Clearwater. Back: Loyd Johnston, Mark Bertagnolli, Donald Bertagnolli, Annie Bertagnolli, Ron Fandrick. Middle: Linda Clark, Tegan Fandrick, Danielle Fandrick, Donna Clark, Lorna Lutz. Front: Ron Clark with young Carson Lutz, Mary Hansen, Ethel Johnstone, Tom Clark with Callie Lutz. These folks entertained visitors to and participants in the Heritage Days function at the museum on Saturday, September 11.A large rented tent came in handy during the drizzly weather. The school is in a busy Kazan street. It’s a massive four-storey school building of standard design, the kind that was built all over the Soviet Union in the 1930s-50s. For some reason all these schools have their facades painted in pale egg powder yellow. The building has big high steps leading up to the main entrance, big windows and doors, and high ceilings. It’s a classic example of the Stalinist style of architecture. In the not-too-distant past our forbears looked at the rising and setting sun, the moon’s movement across the sky and the points of light we call stars migrate across the heavens at night. And they pondered about the mechanism that kept it all going. The idea of rotating spheres took hold, with the heavenly bodies fixed to the wall of the spheres. In order to account for what was observed, a remarkably complex arrangement of rotating spherical bodies was postulated. When Galileo and others improved the telescope to a point where became a useful tool in the observation of the heavenly bodies, the idea of spheres had to yield to what could be independently observed using this new tool. The vested interests of the day did their best to suppress the newly found knowledge but eventually had to concede that “their king had no clothes” and the conception of the universe changed from one centered on the Earth to one centered on the Sun. One thing didn’t change: The model was still essentially a mechanistic one where the heavenly bodies were perceived as inert “objects” spinning around their axis and around each other in rather complex ways, with the Sun at the center. Now, for the next step: Imagine an elemental organism suspended in some kind of embryonic fluid. It reminds one of a simple cell with a fuzzily defined wall surrounding a more dense and energetic fluid than the embryonic fluid with some tiny specs floating around inside and a larger and highly energetic spec near the center. Looking inside this little cell with a microscope, we find that it is literally teaming with activity and that the little specs move in orderly ways around the bigger energetic one. In fact, when we observe the big one more closely we find that it is like a pulsating little heart, gushing energy into the cell around it and so maintaining the integrity of the cell walls, so that the embryonic fluid flows by, for the most part. This is getting really interesting, so we take a very close look at that heart and are almost overpowered by the complexity of the incredible array of energetic events we observe in and around it. This most certainly does not fit the description of a “thing”. On the contrary, it is an entity that is more alive than “anything” else we have encountered in the embryonic fluid. Over time we notice that the intensity of the energetic activity of this heart changes somewhat and that one of the specs floating around it looks more white during periods of decreased activity. The size of the cell wall of the organism also shrinks during such periods, pushed smaller by the pressure of the embryonic fluid. As for predictions, the upcoming hurricane season will likely be a rather mild one. This is a graph of the income of the top ten percent of of the population showing what share of total income they get their hands on. There is a startling correlation between the two graphs which indicates that a shift of society's wealth is related to an increase in private debt: I. e. The rich get richer at the expense of the rest, to a point where the bubble bursts, and then the process starts all over again. 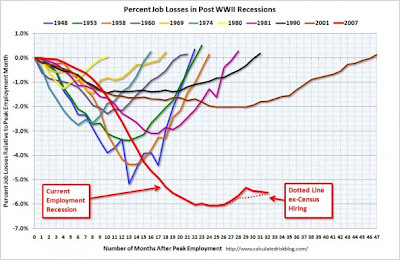 We are now nosediving into a similar situation to that of the 1930ies, as indicated by the graphs. Sept. 13, 2010: Giant planet GJ 436b in the constellation Leo is missing something. Would you believe swamp gas? Tuesday, August 31, saw white frost on the ground at Crammond. Are we in for another long cold winter? This annual event took place on Thursday, September 2, at the complex with local organizations signing up participants in upcoming programs. The Caroline Dance West registration table was well attended. This made world headline news on September 13, but what does it all mean? And why is it important? First, The world has a pretty well fully integrated banking system at this time with the Bank for International Settlements (BIS) in Basel, Switzerland, as the regulatory hub. The banking system in most countries in the world now has a central bank that is legally connected to the BIS by legislation enacted in each individual country by its legislative body, such as Parliament in Canada. So, what you have is a kind of pyramid with our bank accounts underneath the footings of the beast and the BIS at the very top. In layman’s terms, what the statement above means is that every bank in the world will have to keep more real money that it legally owns in the cookie jar in order to deal with sudden and unforeseen demands on money. You see, the world banking system is like an organism where huge amounts of money whiz back and forth every second, every day of the year. and no individual bank is allowed to let its account with the central bank, that keeps track of all the traffic, go too far into the red for very long. Without a full cookie jar, this can easily happen if a bank chooses to create loans for customers with little regard for deposits coming in, or the amount in its cookie jar. With one bank competing against another for market share in a dog-eat-dog world, this has been going on for a long time, resulting in the bursting financial bubble of 2007/8, when most people in the banking system panicked and hurriedly closed their money bags. That left the rest of us out in the cold where we are today. All banks are going to have to increase their reserves to comply with the new requirements, but where is the money going to come from? Banks create credit money when they issue loans. But that money ultimately has to be tied to real goods and services in order to have any value. And there has to be a balance between the IOUs (which is what money really is) and what is owed in terms of goods and services. The banks, that created the financial bubble in the first place, see it as their God given right to create that money based on our God given duty to provide the sweat equity. Does that make sense? 9/11 - This building was not hit by a plane. Why did it collapse??? New home construction is one sector of the Alberta economy that bucked the general economic slowdown over the last few months. However, according to data released this morning by The Canada Mortgage and Housing Corporation, housing starts started to show signs of cooling in August. slowdown observed in Alberta’s economy over the late spring and summer months. Activity in the new home construction market is often driven by what’s happening in the resale housing market. Thus, given the dive in sales in Calgary and Edmonton housing markets during the summer, a cooling in Alberta home construction is somewhat unsurprising. Nationally, the pace of new home construction dipped slightly in August, from 188,900 units in July to 183,300 in August. The fact that starts are holding up fairly well nationally underpins that while the Canadian economy is slowing, relative to our trading partners we are in fairly healthy shape. The slowdown in Alberta starts in August is really only the first weak reading on new home construction for the recent cycle; hence, it is far too early to say a trend has formed. However, considering resale markets have shown more prolonged signs of cooling, it is possible that starts will be somewhat softer over the balance of 2010. 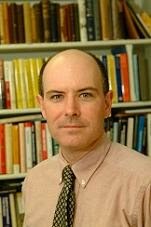 This is a powerful edited transcript with photos of a Public lecture by professor Marc Herold, Massachussetts Institute of Technology M.I.T., Cambridge, Mass. August 2010. The lecture provides an insight into the history of and tragedy in the place we call Afghanistan. Despite a clear cooling in the Canadian economy recently, and rather dreary news emanating from our major trading partners, the Bank of Canada (BOC) announced this morning that it’s using its powers to push Canadian short-term interest rates slightly higher. The BOC lifted the overnight interest rate by 25 basis points to 1.0%. Due to the recent economic uncertainty, and particularly the consistently poor economic picture in the US, economists and markets had been divided on whether the central bank would raise the rate today or not. It may seem strange that the BOC would raise rates at a time when the Canadian and global economies appear to be slowing down, but as the BOC noted in its press release, at 1.0% the Canadian overnight interest rate remains extremely stimulative. In response to the 2008/09 recession, the central bank cut rates to emergency levels, and while the outlook for the Canadian economy is still rather uncertain, it is not in an emergency situation any more. The overnight rate is the interest rate that Canadian banks use to lend money to each other in the overnight market and this rate in turn affects interest rates for consumers on products such as a variable rate mortgages. As these rates rise, consumers are expected to spend less and businesses are expected invest less. Although the BOC did not provide any specific guidance about where it expects interest rates to go from here, it did note in its press releases that economic activity in Canada has been softer than expected and that the outlook for the economy has deteriorated slightly. Looking ahead, while interest rates are still expected to rise slowly, there is a chance the BOC could go on hold until the global economy shows stronger signs of life. Remember that BP well blowout in the Gulf of Mexico? It was supposed to ruin the the ecology of the gulf, and then some. Now it is off the radar and the sun is shining and the seas are, once again, blue with friendly waves rolling in on white beaches. Come to think of it, how is it physically possible for a six inch pipe to spew out enough oil to contaminate a three dimensional ocean body over a huge geographical area? Even if it goes on for several months. And what about “global warming”? Where is the heat? Hot dry conditions have been reported in many places in the northern hemisphere over the summer, with resultant fires, but does that indicate global warming? If you say ”This has been the hottest summer in 100 years!”, the logical implication is that a summer 100 years ago was just as hot. Was that a period of global warming as well? The front page of the August issue of Maclean’s, touted to be “Canada’s National Magazine” by its publishers, screams “Extreme Weather Warning: Fires, floods and freak storms, Why it is only going to get worse. Page 38”. In the article a direct connection is made between fires, floods and other calamities, and greenhouse gases. Meanwhile, back on the farm in Alberta, the summer has been a cold one, with most crops well behind schedule. My neighbors have just started turning their barley field into silage, as the prospects of successful maturation of the crop grows dimmer by the day, following the season’s first frost. Last fall, the leaves on the poplar trees in this area literally froze to death and stayed on the trees over the winter, because of an early killing frost. My oldest daughter recently attended a wedding near Los Angeles in California and stayed at a motel near the beach. Locals complained about how cold the ocean was, compared to normal. Is this global warming? Or are we just talking about the usual main stream self serving media hype, as practiced during the Gulf of Mexico well blowout? Looking at the data coming out of a network of earth based observatories and satellites orbiting the earth and the sun, the trend is crystal clear: The energy output of our sun is very low and has been for some three years now, as the 24th solar sunspot cycle has failed to appear on schedule. The heart of that great organism in space we call our solar system is not pumping blood quite the way it usually does, causing its outer regions to begin cooling down. That’s where we are and that’s why we are feeling the chill. The anomaly confusing the picture is the melting of glaziers in the arctic. I believe this phenomenon is related to the changing composition of atmospheric gases in the upper atmosphere above the arctic, allowing more energy from the sun in to shatter ice crystals. In summary, solar system physics is a very complex business. That said, if you turn down the central furnace, things are likely to feel a little chilly. A number of streets in Caroline, including 49th. Avenue in this photo, received a new surface last week in the form of an asphalt cold mix called SB90. Clearwater County was contracted to carry out the work which was funded from a provincial Municipal Sustainability Initiative (MSI) grant. Public Works Foreman Ron Landry said that SB90 had been chosen because it can be easily removed and replaced again when the streets in Caroline are dug up in order to upgrade the 50 year old water and sewer lines running under the village. The first stage in this process will be main street (50th. Avenue), which is also the confluence of provincial highways 54 and 22, where a water main break happened last fall, causing a major traffic disruption. The sewer line running from the village south to the lagoon has also been identified as a priority project. A $1.2 million MSI grant has been received from the province for this work. Alberta's villages, towns and cities all have aging underground infrastructure that has tended to be neglected over the years, according to local MLA Ty Lund, who used to be the Minister for Infrastructure. They are now faced with a major upgrading challenge. A contractor is extending Range Road 5-2 south from the east-west running Crammond Road in the Caroline area. Two quarters and two acreages were sold at a public auction in this area during the summer. Caroline's fire hall is about to get a new "skirt" as part on ongoing maintenance. The roof was re-done last year. The Village of Caroline owns the fire hall and Clearwater County owns all the equipment in the hall. The challenge at this time is to find volunteers that are able to commit to 24/7 service to serve in smaller communities with growing traffic volumes and an increasing number of rural residents that are commuting to their jobs outside the home community. Adequate financial incentives may be the solution to this dilemma. This chart is the latest depicting energy output from that great furnace in the sky, our Sun. The predicted sunspot cycle, #24 since observations began after Galileo developed the telescope, may or may not happen as predicted. 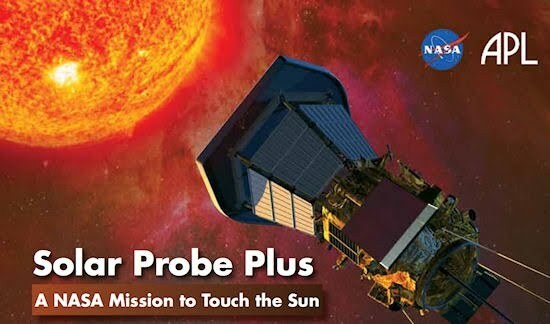 Sept. 2, 2010: NASA's daring plan to visit the sun took a giant leap forward today with the selection of five key science investigations for the Solar Probe+ spacecraft.